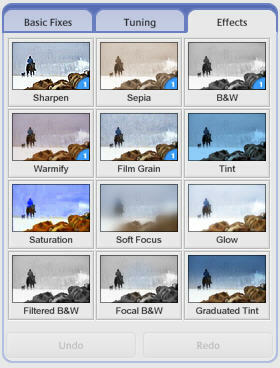 You can use the Effects tab of the editing window to change the appearance of your pictures using Picasa’s built-in filters. You apply an effect by clicking on the button that has a thumbnail of your image with the effect applied to it. This is meant to give you an idea of what the effect does. 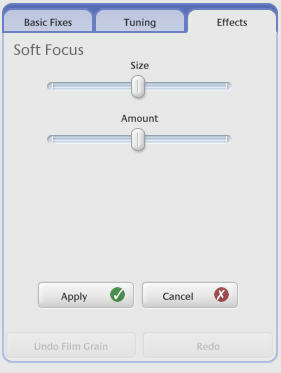 When you click on most effects, a set of sliders or buttons will be displayed so you can modify how the effect is applied.